Do you have an autistic child or know someone who does? Do you want to help spread awareness? Do you want a way to start a conversation about autism, but need a little help? 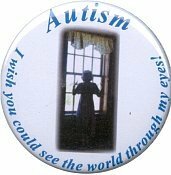 ShopAutism.com is a site with various autism related products that not only help to spread awareness, but also benefits Autism Support Daily. You'll find car magnets, lapel pins, books, bumper stickers and bracelets on this site....you can create awareness and use them yourself or purchase them as gifts.....all while supporting a wonderful organization with a great mission. 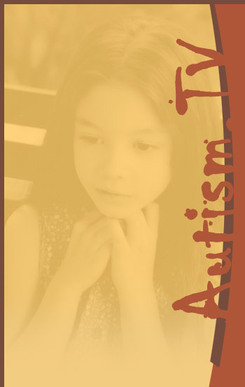 This website is an internet portal for websites containing videos and audio files on autism. You can click on the different channels and audio files to find, listen to and watch some great information on autism. One of the most talked about is Channel 5's Center for the Study of Autism's new video website which includes a one-hour video called "My Child was just Diagnosed with Autism? What do I Tomorrow?" For those that are dealing with a new diagnosis, this is a fantastic watch. Lots of great information and empowers parents to advocate for their children and points them in the right direction to get help for their children. This website is great, also, for people that are working with autistic children, or that need a better understanding of relatives with autism.